There are many uses for business life insurance. These vehicles can provide businesses with protection and safety, particularly if a partner dies. When Should I Use a Buy-Sell Agreement? A business life insurance policy is simply a normal life insurance policy that is owned by a business instead of an individual. In this case, the insured is usually the owner or one of the owners in the business, and the policy is purchased in order to ensure the smooth transition of the business once the owner has died. 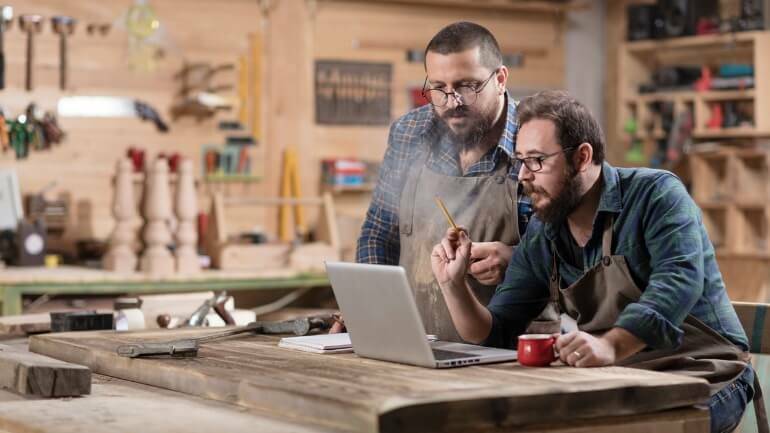 If you are a small business owner or co-owner, then your death can place a huge burden not only on your family, but on your partners and employees as well. Without life insurance coverage, your partners may have to quickly come up with a large sum of money in order to buy out your share of the business. If they cannot come up with the money, then your business may ultimately fail. Other scenarios may come up as well. 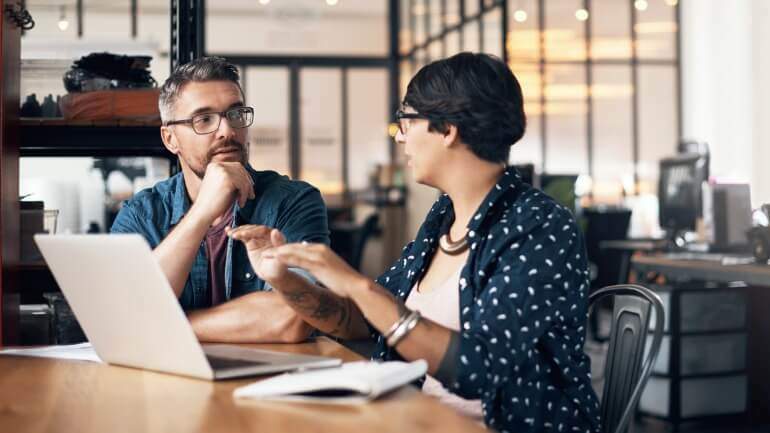 You may be forced to have one of your partner’s spouses or ex-spouses run the company with you, or you could end up with a bank owning your partner’s share of the business if he or she is forced to file for bankruptcy. Your family may also need life insurance protection, especially if you have small children or have taken out substantial loans using your family’s assets. Failure to provide for them adequately could mean big financial problems for them, either immediately or down the road. Your surviving family members also may not be able to take over the business, due to age or lack of expertise. They may also have no idea how to sell your share of the business, or value it correctly. This could mean that they could end up selling your portion of the business for far less than it is worth, and they could even lose their home if it was used as collateral for a business loan. As with personal life insurance, business life insurance can be either permanent, which is more expensive and builds up cash value over time, or term, which offers pure death benefit protection but is much cheaper. There are three main types of permanent cash value policies. Whole life insurance is the most conservative type of life insurance, and the insurance company pays dividends into the cash value in your policy on a regular basis. Universal life insurance is more flexible and pays interest into your cash value instead of dividends. Variable universal life is more aggressive in nature, as it invests the cash value in your policy into a portfolio of mutual fund subaccounts that do not guarantee your principal. All three forms of insurance are designed to last for your entire life. Term life insurance is much cheaper than any form of cash value, but as the name states, it only provides coverage for a specific period of time. The premiums can also become as expensive as cash value life insurance when you get into your later years. Most financial planners will therefore recommend some form of cash value life insurance to business owners, because the coverage will typically need to be in place throughout their lives. Regardless of which form of life insurance that you choose, it is a good idea to add accelerated benefit riders onto your policy that will pay out some or all of the death benefit while you are living if you should become disabled, need nursing care or are diagnosed with a critical disease such as cancer or heart disease. You don’t have to die to become unable to run your business. Most business owners who buy life insurance to cover themselves do so using a buy-sell agreement. For example, if three equal partners own a business and they want to protect themselves and their families, then they could each take out a life insurance policy on the other two partners. Then, if one of them dies, the policies would provide the remaining partners with the cash necessary to buy out the deceased partner’s share of the business. This type of arrangement is known as a “cross-purchase” buy-sell agreement because each partner is taking out a policy on all of the other partners. But when many partners, such as 5 or 10 are involved, then it can become too complicated for everyone to buy life insurance on everyone else. In this case, the partners would use an “entity purchase” agreement, where the business itself buys just one policy on each partner. When you want to set a fair price for your share of the business in case the other owners get into a dispute, or one owner wants out of the business while the other partner wants to buy out the exiting share of the business. You co-own a business, and you want to restrict other owners from selling their shares of the business to a person or entity that does not have the business’s best interest in mind. You want to guarantee that the current owners of the business (or their estates) sell their shares of business back to the business when they die or become incapacitated. You want to guarantee that all remaining owners in the business will buy out all deceased partners’ shares in order to provide liquidity. Of course, you don’t have to fund a buy-sell agreement using life insurance, but most business owners who draw up these agreements will do so, because it is more economical than having to fund that expense entirely by themselves. Deferred Compensation Plans – This is designed for key employees as a form of “golden handcuffs” to incentivize them to remain with the company. They are frequently funded by cash value life insurance, but shares of company stock or other types of incentives are also often used. Key Person Insurance – This type of plan is designed to provide additional incentives to key employees without the business owner having to forfeit any control of his company. Split Dollar Life Insurance – This type of policy involves the mutual purchase of a life insurance policy by an employer and an employee. The premiums, death benefit and cash value in the policy are split according to a specific fraction, such as 60/40. Group Carve-Out Plans – This type of cash value savings plan is layered on top of group term life insurance coverage for a select group of people who are “carved out” from the rank and file employees. Executive Bonus Plans – This type of plan is usually just a cash value life insurance policy that has essentially been gifted as a bonus to key executives. Some employers will even bonus an additional amount to pay the tax on the policy. This is known as a “double bonus” arrangement. Many non-qualified plans are structured as “golden parachute” plans that will further compensate the owners or key employees in a business. They can provide additional rewards to employees who remain loyal to the company or else provide “consolation” compensation if the employee is laid off. Nonqualified plans can be very complex in nature in many cases, but they are often funded with cash value life insurance policies. If you own a life insurance policy that is no longer needed to protect your business or family, then you may want to consider selling it to a qualified buyer. This can be advantageous for you because you will usually wind up with considerably more than you would if you simply surrendered the policy. Business life insurance can protect your and your partners as well as your family. The most common uses of business life insurance are for funding buy-sell agreements and non-qualified plans. Consult your financial advisor or life insurance agent for more information on the use of business life insurance. Previous ArticleHow to Borrow Against Your Life InsuranceNext ArticleHow Does Decreasing Term Life Insurance Work?